Monday at the Xbox E3 2016 Briefing, Microsoft Corp. unveiled a new family of Xbox One devices, a host of new Xbox Live features and the biggest lineup of games in Xbox history. Head of Xbox Phil Spencer underscored the Xbox team’s commitment to building a future of gaming beyond console generations and inviting gamers to play without boundaries. Xbox is working to bring Xbox Live to all devices and networks — PC, console, virtual reality and mobile — to create a unified experience where all gamers are welcomed, respected and supported. The new Xbox Play Anywhere program lets gamers buy a game once and play it on both their Windows 10 PC and Xbox One console with shared progress, game saves and achievements. Every new Microsoft Studios title shown at the Xbox E3 2016 Briefing will support Xbox Play Anywhere, with more titles on the way. The new lineup of Xbox One hardware and accessories delivers unprecedented choice and level of personalization for gamers. All Xbox One devices will play current and future Xbox One games as well as titles in the Xbox One Backward Compatibility program, and all accessories will work across every console in the Xbox One family as well. “Project Scorpio.” Coming holiday 2017, “Project Scorpio” will be the most powerful console ever created, with 6 teraflops of GPU delivering a premier console gaming experience including true 4K gaming and high-fidelity virtual reality. “Project Scorpio” will join the Xbox One family and coexist alongside Xbox One and Xbox One S and all of your Xbox One games and accessories are compatible. New Xbox Wireless Controller. We’ve enhanced comfort with a textured grip and introduced a sleek, streamlined design in white. Added Bluetooth radio gives you easy wireless connection to your Windows 10 PCs and tablets.2 The new Xbox Wireless Controller will be available worldwide starting in August for $59.99/49.99 pounds/59.99 euros. Xbox Design Lab. Now fans can create their own official, one-of-a-kind Xbox Wireless Controllers with more than 8 million color variations to customize the controller body, D-pad, thumbsticks, ABXY buttons and more. Each controller is handmade to order and shipped directly to fans. Xbox Design Lab is open for orders now in the U.S., Canada and Puerto Rico for $79.99 through http://www.xbox.com/xboxdesignlab . Laser engraving is also available for an additional $9.99. Xbox Elite Wireless Controller – “Gears of War 4” Limited Edition. A pro-level controller designed in collaboration with The Coalition, the Xbox Elite Wireless Controller – “Gears of War 4” Limited Edition features laser-etched claw marks and a battle-weathered design, telling the survival story of a confrontation with the Swarm. Available in very limited quantities in early October for $199.99/199.99 euros/159.99 pounds with pre-orders starting the week of June 13 at select retailers. Cross-play. Gamers on Xbox One and Windows 10 can now play select multiplayer games together. “Gears of War 4,” “Forza Horizon 3,” “Sea of Thieves” and “Scalebound” all support cross-play between Xbox One and Windows 10 PC, and now “Minecraft” players on iOS, Android, Windows 10 phone and Windows 10 devices can all join together in cross-device multiplayer fun. Xbox premiered a wide range of games launching in 2016 and beyond for Xbox One and Windows 10, including a mix of exclusives, blockbusters and independent games through the ID@Xbox program. “ARK: SURVIVAL EVOLVED” (FIRST ON XBOX ONE AND WINDOWS 10). The wildly popular indie game from Studio Wildcard has sold over 1 million copies on Xbox One via Game Preview, and is soon coming to Windows 10. Stranded naked, freezing and starving on a mysterious island, you must hunt, harvest, craft items, grow crops and build shelters to survive. Learn how to tame, train, breed and ride dinosaurs and primitive creatures living on the ARK as you forge new paths across the beautiful open world in this large-scale survival game. Team up with hundreds of players online, play split-screen locally or brave the island on your own. “BATTLEFIELD 1” (ELECTRONIC ARTS). Featuring some of the largest, most dynamic battles in FPS history, experience the dawn of all-out war across war-torn France, in the sand dunes of the Arabian Desert, and in the skies over London — only in “Battlefield 1.” Join in massive 64-player battles and experience unexpected Only in Battlefield moments during a time where the old world was destroyed, giving way to the new one. Play it first, exclusively on Xbox One with EA Access beginning Oct. 13. Available worldwide on Xbox One and Windows PC on Oct. 21, 2016. “DEAD RISING 4” (WORLD PREMIERE). Developed by Capcom Vancouver, “Dead Rising 4” marks the return of photojournalist Frank West in an all-new chapter of one of the most popular zombie game franchises of all time. With an unmatched level of weapon and character customization, ambitious new features including new zombie classes and EXO Suits, “Dead Rising 4” delivers a heart-pounding experience as players explore, scavenge and fight to survive in an epic open-world sandbox. Available Holiday 2016 on Xbox One and Windows 10. “FINAL FANTASY XV” (SQUARE ENIX). “FINAL FANTASY XV” is the highly anticipated action RPG and 15th mainline entry in the iconic “FINAL FANTASY” franchise. Set in an enthralling world where fantasy meets reality, players will join Crown Prince Noctis and his comrades on an epic journey of brotherhood, love and despair as they unravel Noctis’ destiny and take up arms against the nefarious Niflheim empire. With a captivating cast of characters, breathtaking visuals, open world exploration and action-packed real time combat, “FINAL FANTASY XV” is the ultimate “FINAL FANTASY” experience for fans and newcomers to the series. Available worldwide for Xbox One on Sept. 30, 2016. “FORZA HORIZON 3” (XBOX ONE AND WINDOWS 10 EXCLUSIVE — WORLD PREMIERE). The best-selling racing franchise returns with “Forza Horizon 3.” Race and explore the rugged wonder of Australia with your friends in over 350 of the world’s greatest cars as you win millions of new fans and build the world’s greatest automotive festival. As the new boss of the Horizon Festival, you can modify every aspect of race events, and how you get to the finish is up to you. Available worldwide as an Xbox Play Anywhere title on Sept. 27, 2016. “GEARS OF WAR 4” (XBOX ONE AND WINDOWS 10 EXCLUSIVE). A new saga begins for one of the most acclaimed video game franchises in history. After narrowly escaping an attack on their village, JD Fenix and his friends Kait and Del must rescue the ones they love and discover the source of a monstrous new enemy. “Gears of War 4” returns the franchise to the dark tone and intensity of the original and includes split-screen and online co-op, the next generation of the five-player favorite, Horde Mode, 60 frames-per-second Versus multiplayer, and stunning visuals powered by Unreal Engine 4. Available worldwide as an Xbox Play Anywhere title on Oct. 11, 2016. “GWENT” (WORLD PREMIERE OF CLOSED BETA ON XBOX ONE AND WINDOWS 10). “Gwent,”the hit card game from CD PROJEKT RED’s game of the year — “The Witcher 3: Wild Hunt” — is now its own standalone collectable card game. Inspired by player feedback, with new rules and mechanics, “Gwent” puts players and their style of play, and not only their cards, in the center of the action. In “Gwent,” You are the Wild Card. “HALO WARS 2” (XBOX ONE AND WINDOWS 10 EXCLUSIVE). The best-selling console real-time strategy (RTS) of all time is back! Developed in partnership by 343 Industries and Creative Assembly, “Halo Wars 2” is an action-packed RTS on the biggest Halo battlefield ever. Get ready to lead armies of Spartans and other Halo fighting forces like Warthogs, Scorpions and exciting new units in a brutal war against a terrifying new enemy, The Banished. Available worldwide as an Xbox Play Anywhere title on Feb. 21, 2017. “INSIDE” (FIRST ON XBOX ONE). Developed by Playdead, “INSIDE” is the long-awaited follow-up to 2010’s groundbreaking digital hit “Limbo.” Featuring Playdead’s trademark dark art, emotion and game craft, this adventure puzzler ships June 29, 2016, and is available for pre-order now. To celebrate the launch, “Limbo” will be free to all Xbox players from June 13‒20. “MINECRAFT” (REALMS AND ADD-ONS). Mojang and Microsoft showcased cross-device multiplayer between iOS, Android, Samsung Gear VR and Windows 10 devices, made possible with Monday’s launch of the “Friendly Update” for “Minecraft: Windows 10 Edition” Beta and “Minecraft: Pocket Edition.” With Xbox Live and the “Minecraft Realms” service, Windows 10 and mobile Minecraft players can host their own multiplayer worlds on private, cloud-based servers and play with friends 24/7, even when the original world creator is offline. Starting today, players with Xbox Live accounts can try “Minecraft” Realms on mobile and Windows 10 free for one month through the “Minecraft” app. The team also announced new game add-ons coming this fall that will let players modify their in-game worlds to customize key game elements and create their own maps and minigames. “RECORE” (XBOX ONE AND WINDOWS 10 EXCLUSIVE). From legendary video game creator Keiji Inafune and Armature Studio LLC, the team behind the “Metroid Prime” series, comes “ReCore,” an action-adventure game masterfully crafted for the modern generation. Play as Joule, one of the last remaining humans, and forge friendships with courageous robot companions to lead them on an epic adventure through a mysterious, dynamic world. Available worldwide as an Xbox Play Anywhere title starting Sept. 13, 2016. “SEA OF THIEVES” (XBOX ONE AND WINDOWS 10 EXCLUSIVE). Developed by Rare, the legendary creators of “Perfect Dark” and “Banjo-Kazooie,” “Sea of Thieves” is an immersive, shared world adventure game filled with pirates, unexpected dangers and loot for the taking. Be the pirates you want to be, share adventures with friends, and set your own rules, roles and goals in a world where every sail on the horizon is another crew of players with unknown intent. “Sea of Thieves” offers an experience that will evolve over time, landing in players’ hands early and growing based on feedback from the community. “STATE OF DECAY 2” (XBOX ONE AND WINDOWS 10 EXCLUSIVE, WORLD PREMIERE). The next installment in the fan favorite “State of Decay” franchise immerses you in an all-new multiplayer zombie survival fantasy. Players work together to build lasting communities where choices made shape an interconnected world and form a unique experience every time. Available worldwide as an Xbox Play Anywhere title in 2017. “SCALEBOUND” (XBOX ONE AND WINDOWS 10 EXCLUSIVE). From critically acclaimed developer PlatinumGames Inc. and renowned Game Director Hideki Kamiya, “Scalebound” brings epic adventures and battles at enormous scales across the beautiful and dangerous open world of Draconis. Customize main hero Drew and your dragon, Thuban, to suit your playstyle as you battle legions of soldiers and massive monsters solo or cooperatively with up to three additional friends on Xbox Live. Available worldwide as an Xbox Play Anywhere title in 2017. “TACOMA” (FIRST ON XBOX ONE AND WINDOWS 10). It is the year 2088, and humanity has taken to the stars. You step aboard the abandoned space station “Tacoma,” the facility’s Augmented Reality technology your only connection to the crew that once lived here. What happened to them — and what role did the station’s AI overseer, ODIN, play? Discover the truth in “Tacoma,” Fullbright’s follow-up to the genre-defining story exploration game “Gone Home,” when it comes to Windows 10 and Xbox One next year. 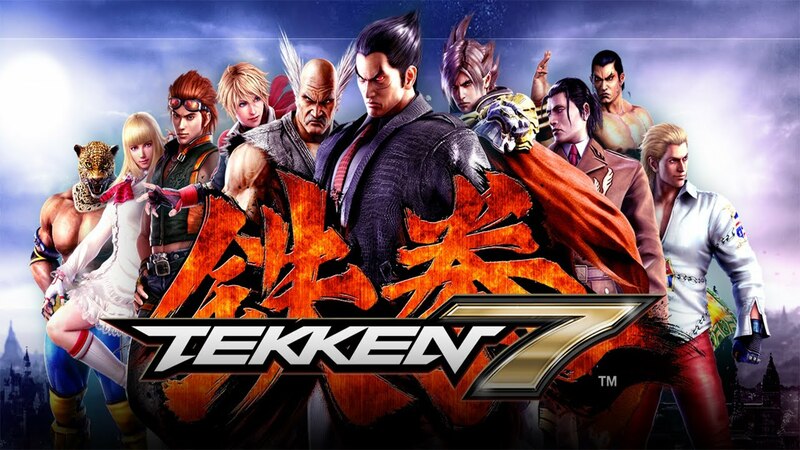 “TEKKEN 7™” (BANDAI NAMCO ENTERTAINMENT INC.). An engrossing story intertwines the past, present and future fates of fan-favorite characters in “TEKKEN 7.” Known for revolutionizing the fighting genre through both its hard-hitting gameplay and diverse cast of characters, “TEKKEN 7” introduces enhanced fight mechanics alongside a slew of new combatants to ensure that your next fight won’t ever be your last. Available worldwide for Xbox One in early 2017. “TOM CLANCY’S THE DIVISION™ – EXPANSION I: UNDERGROUND” (UBISOFT®). Dive into the underbelly of New York to save what remains in Underground, the first expansion for “Tom Clancy’s The Division.” Explore the randomly generated mazes of subways, tunnels and sewers to fight deadly enemies and recover powerful loot. Experience an all-new incursion and find the latest weapons, gear and more. Available first on Xbox One and Windows PC beginning June 28. 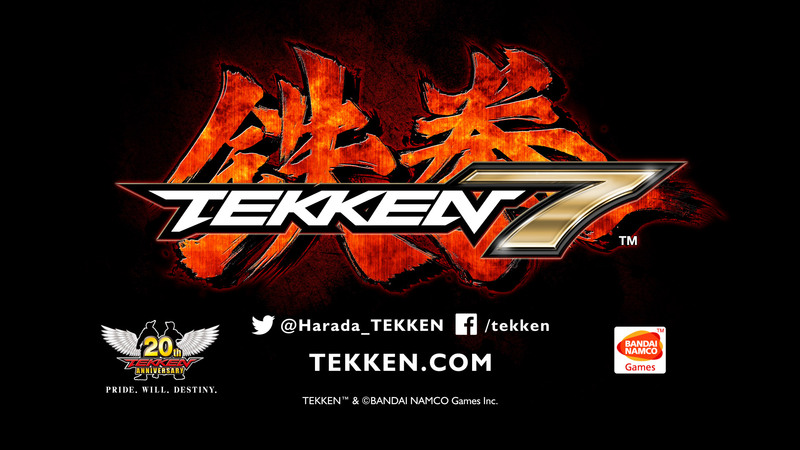 At the Evolution Championship Series (EVO) fighting game tournament held in the Westgate Las Vegas Hotel & Resort, BANDAI NAMCO announced TEKKEN 7, the latest installment of the venerable franchise, powered by the award-winning Unreal Engine 4. TEKKEN 7 took center stage at EVO, bringing the competition to a halt with a sizzling trailer hinting towards the ambitious technical feats that Unreal Engine 4 will make possible for Harada and the TEKKEN development team. Working closely with the Epic Games engine group in Japan and leveraging the might of UE4, these two teams are fueling the next generation of fighting games. Tekken 7 joins a long line of games that have been announced recently and shown to be powered by Unreal Engine 4. Crackdown, EVE: Valkyrie, Fable Legends and many others round out the rapidly growing list of games using the engine. Developed by Epic Games, the award-winning Unreal Engine is known for its cutting-edge graphics technology, world-class toolset and scalability across PC, console and mobile platforms. Since its public launch as a $19 per month subscription-based service at the 2014 Game Developers Conference (GDC), Unreal Engine 4 has been evolving at a rapid pace. Development of the engine has been driven further by feedback from the community and numerous updates from Epic’s team of world-class engineers.